Built in tribute to a man who enjoys the finer aspects of existence, this Quattrini LC-T5 is all about living the life of, well, Reilly. 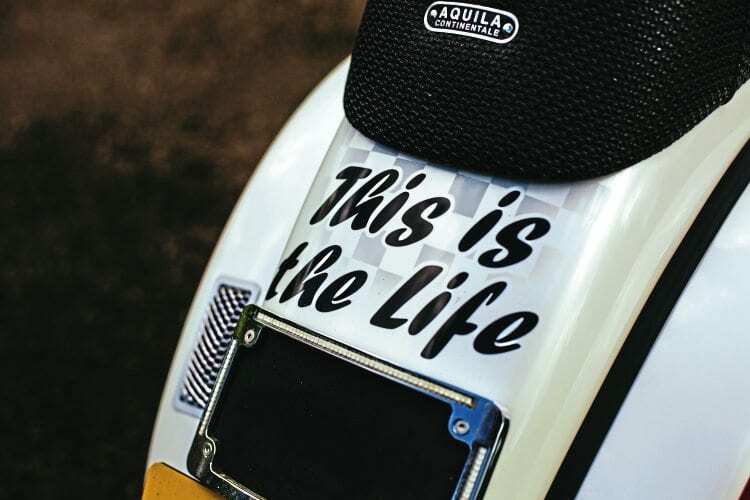 Owner, builder and rider of This Is The Life’, Francis ‘Frankie’ Fountain, gave his trick T5 street racer its distinctive name as a tribute to the life of his father-in-law Phil Reilly. “We spend a lot of time together, drinking, playing bowls and all sorts. He’s a proper gentleman. I don’t think he’s ever sworn in his life. Since I started working on This Is The Life, every time we’ve got together he’s enquired after it, asking is it finished yet. Neat cutout for a tidy carb. Frank has, for as far back as he can remember, always wanted to build a Vespa street racer. He’s been into scooters since the 80s, a serious number of years on small wheels and a few stories to tell as well! Wanting to do something and actually putting those desires into practice can be miles apart for most people. Just over two and a half years back, Frank began putting the ideas he had into practice. It’s only been in the past few years that Frank has had the time to invest in building the scooter he’s always wanted. With a bit of aiding and abetting in the technical and mechanical departments from Chiselspeed’s main man Martin Cook. 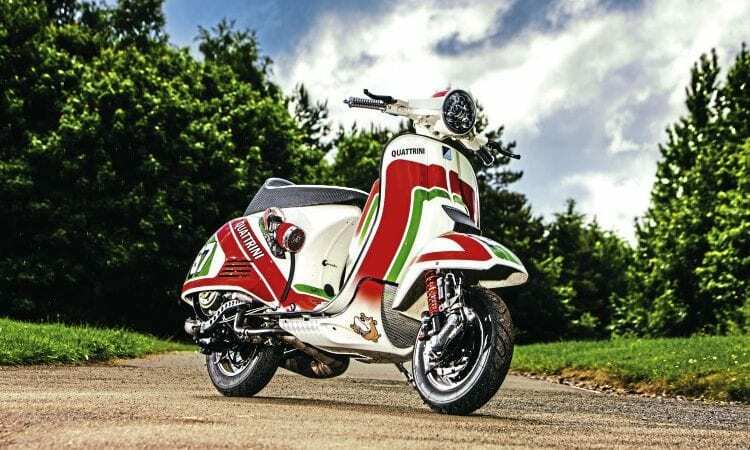 Starting with a 15 Classic Vespa as a base machine, the scooter has been transformed into This Is The Life. 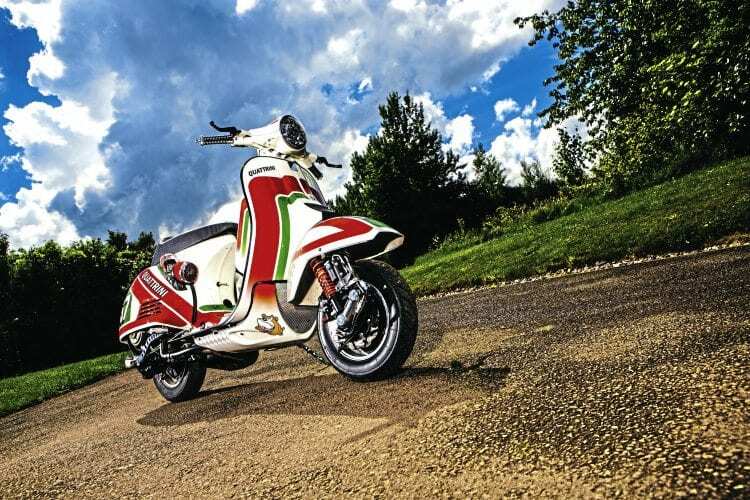 In silhouette, This Is The Life appears smooth, sleek and streamlined, exactly how a Vespa street racer should look. Although not obvious initially, especially if only a cursory glance is thrown, even the lights and indicators are all a bit special. Frank spent some time, as well as just shy of a four figure sum, obtaining them from various sources in America. He’s especially pleased with the front headlight. 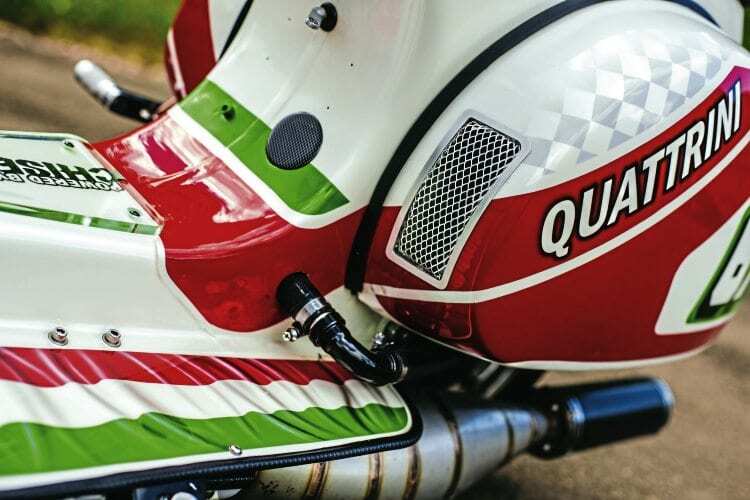 The artwork adorning the bodywork and panels is all the handiwork of Bob Faulkner in Arbroath. 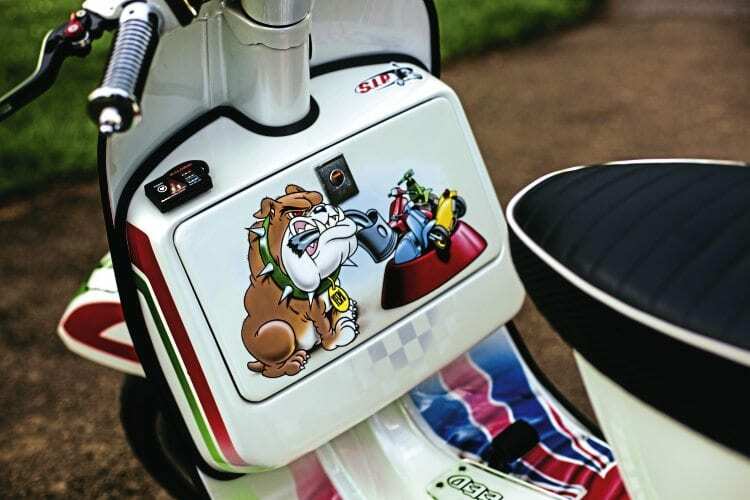 It’s in the main in the classic street racer style, as in combining bold colour designs that scream that this scooter is quick, along with some suitable ‘racing’ numbers. Are there any anecdotes or experiences from your time on the scene you’d care to share? “Stuart ‘Mad-dog’ Mckenzie is a good friend of mine. Some years ago he sold me an SX. It’d start up, then kept dying, it just wouldn’t run. I phoned him up to come and get it and take it back off me. Two or three days later I called him to find out if he’d found out what the matter was. Of course, he had, it was the woodruff key. He wouldn’t sell it back to me though! 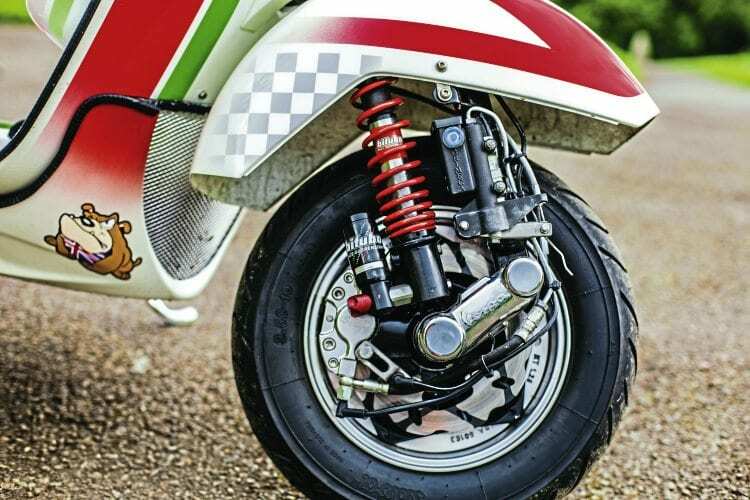 Frank’s Vespa street racer certainly looks the part, the liquid-cooled engine ensures it delivers the sort of power and performance in keeping with its appearance. 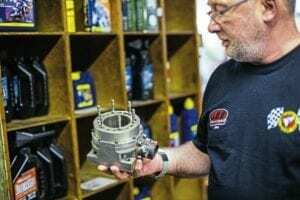 Chiselspeed’s Martin Cook gives his overview of the engine below. Does This Is The Life meet the aspirations and expectations prior to work commencing? Also is there anything Frank is considering changing? 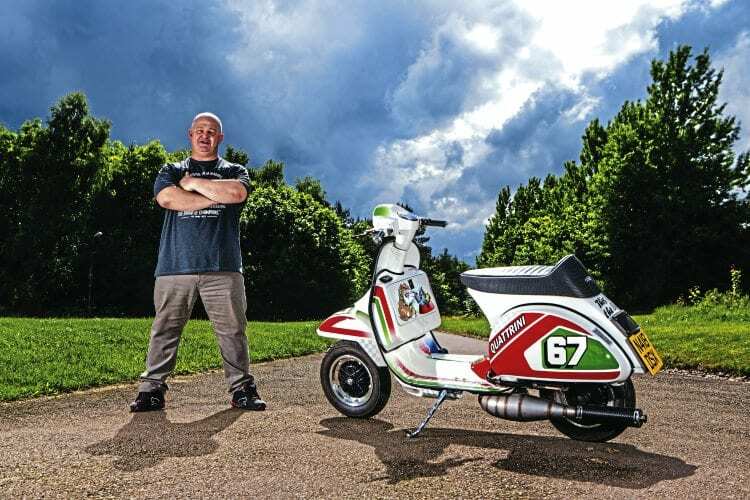 “I’d say that I’m delighted with my Vespa street racer. It picked up Best Vespa at Kelso first time, it’s going to be on the cover of Stuart Owen’s forthcoming book about street racer scooters. 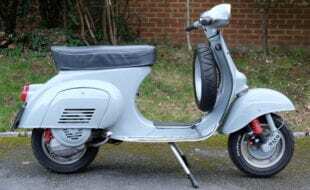 How and when did you become first interested in scooters: 1980s had my first go on a Vesap 90, that was me hooked. Loved them ever since. 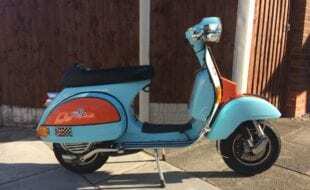 What was your first scooter: Lambretta SX200 cut down. 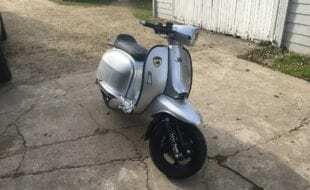 What is your favourite scooter model: Lambretta SX200 cut down. 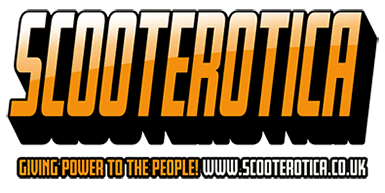 What is your favourite style of customer scooter: Street racer. First rally or event: Dunbar 80s. Favourite and worst rally/event: Kelso has to be my favourite, no worst, all good. 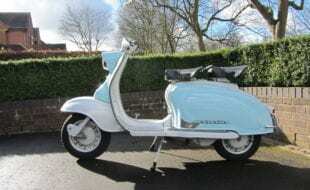 What is the funniest experience with a scooter: Me and my wee brother Jimmy had a puncture on his Vespa 90 and we thought we could sort it by filling the back tyre with his mum’s washing. Needless to say the police were involved as his mum reported the washing stolen and we were grounded for a long time. 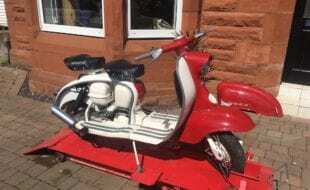 What’s the furthest you’ve ever ridden on a scooter: Aviemore from West Lothian. What do you like about rallies/events: Having a catch up with everyone and admiring all the scooters. 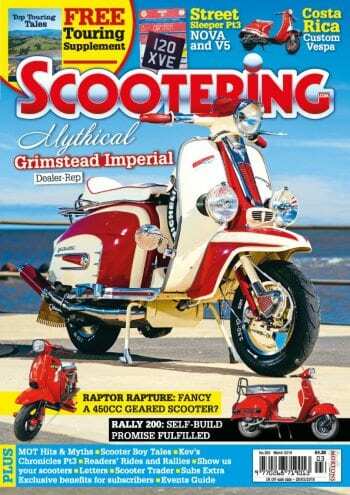 What’s your favourite Scootering magazine feature: Tech corner. 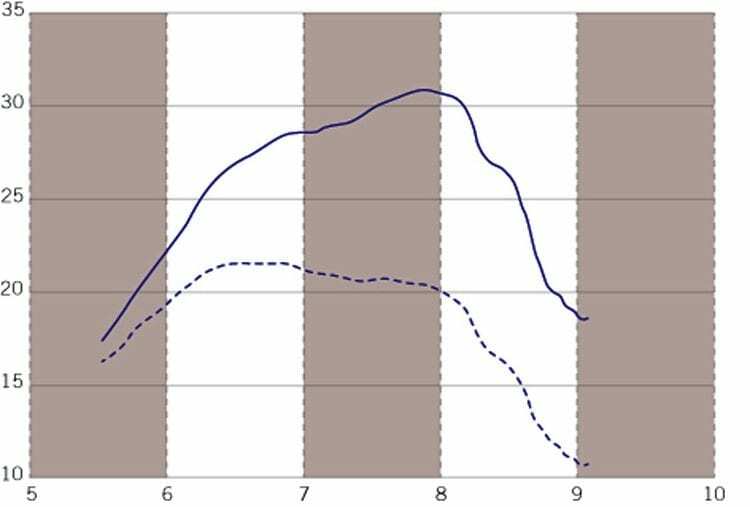 If you had to recommend one scooter part or item of riding kit what would it be: Better lighting; it’s good to be seen. Name of scooter & reason: This Is The Life, as a tribute to my father-in-law Phil Reilly. 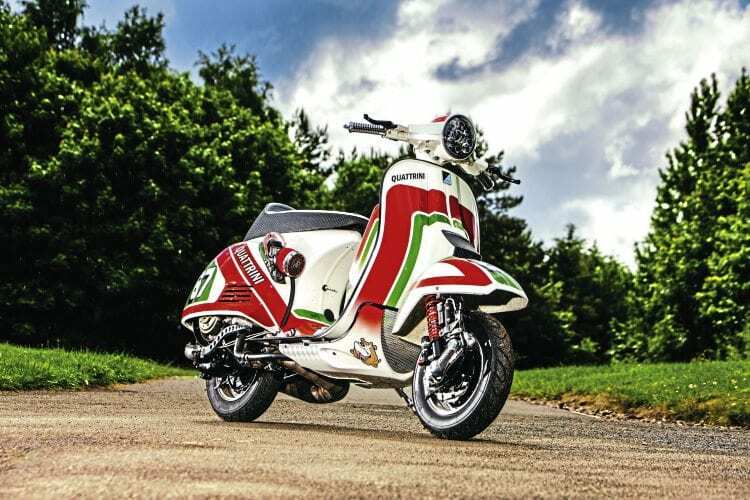 Scooter model: Vespa T5 classic. 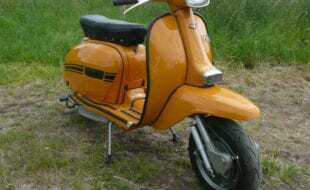 Inspiration for project: Always wanted to build a Vespa street racer but never had the time till now. Time to build & by who: Two years, six months. Any specialised parts or frame mods? What & by whom: One-off adaptor LED headlight, indicators and back light, custom made barrel (water cooled by Martin Cook at Chiselspeed) all lighting bought from America, custom made radiators, custom made exhaust billet two-piece to suit. 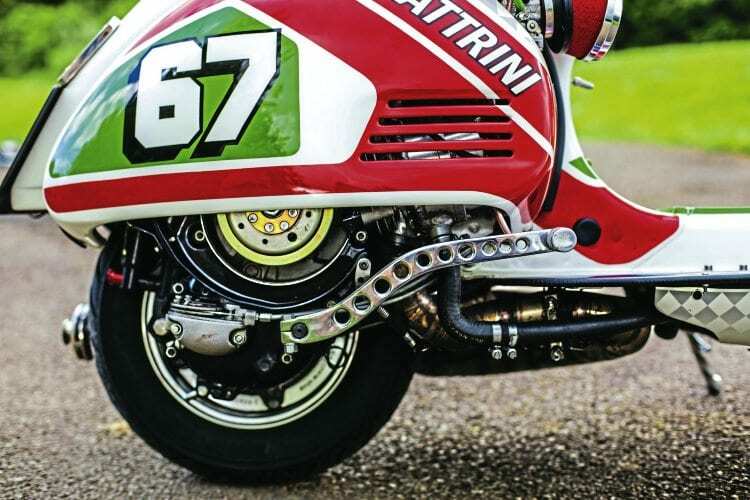 Engine spec: Quattrini M200 water cooled. Crank: 57m with Yamaha rod. 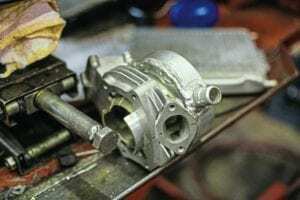 Carb: 35mm Keihin airstriker. Exhaust: One-off. 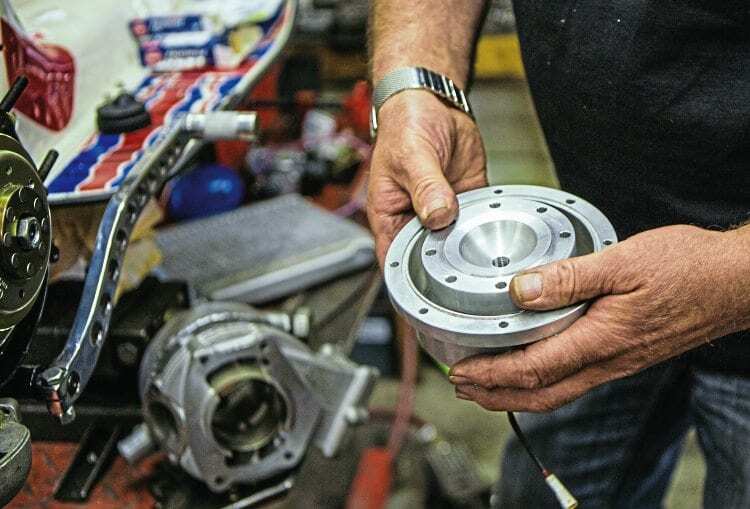 Clutch: Billet Cosa 10 spring. Gearbox: Pinasco close ratio cluster. 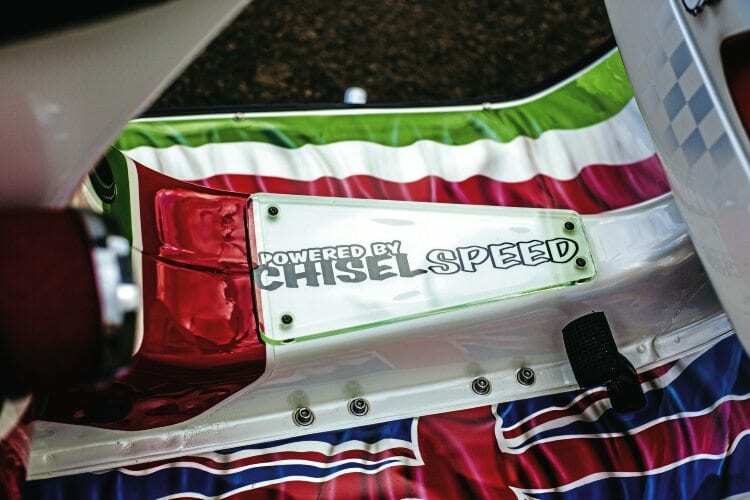 Porting & dyno: Martin @ Chiselspeed. 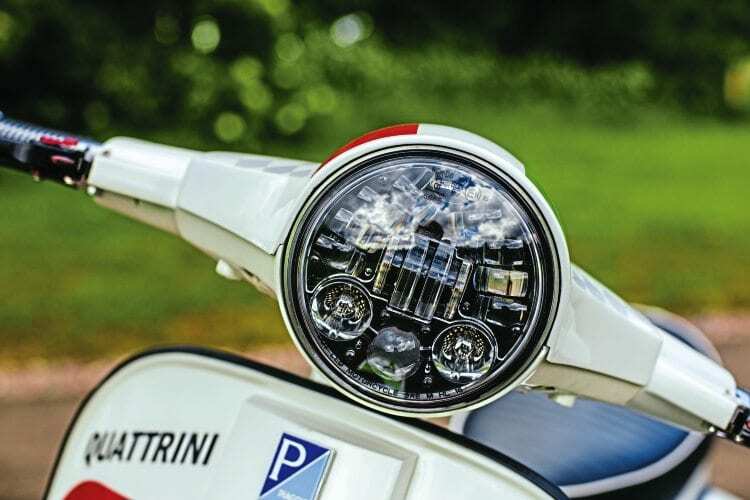 Describe engine performance, power delivery and scooter handling: It pulls smoothly right through the power band in every gear, handling is good. Paintwork & murals done by: Bob Faulkner from Arbroath. What was the hardest part of the project: Getting all the ideas and a mental picture of how it would look. Advice or tech tips for anyone starting a project: Do a dry build first with all your bits and pieces. 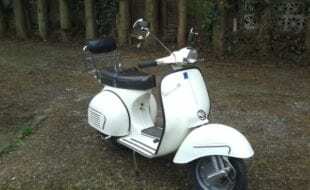 Is there anything still to add to the scoot: Maybe a rear disc brake. Is there anyone you wish to thank: Martin Cook and his team at Chiselspeed, Bob Faulkner airbrushing and his team. This Is The Life is powered by a Chiselspeed built and tuned motor that is, without question, a bit trick. Martin Cook the man who built it, gives a brief overview of what makes this engine so special. “I’ve got it back to replace the blown crank. 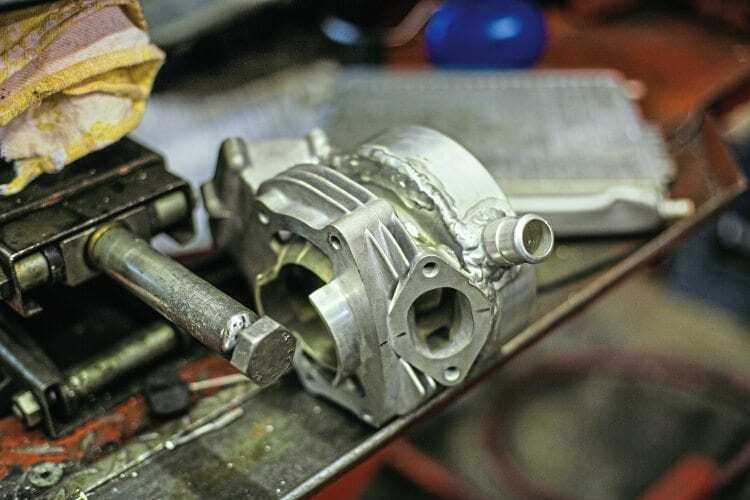 It appears that it put out more power than expected, just a bit too much grunt for the crank to take, Frank’s choice was to use a Quattrini M200 top end, which is intended to convert small frame Vespas to 200cc, the barrel is made and intended to work with Quattrini casings. 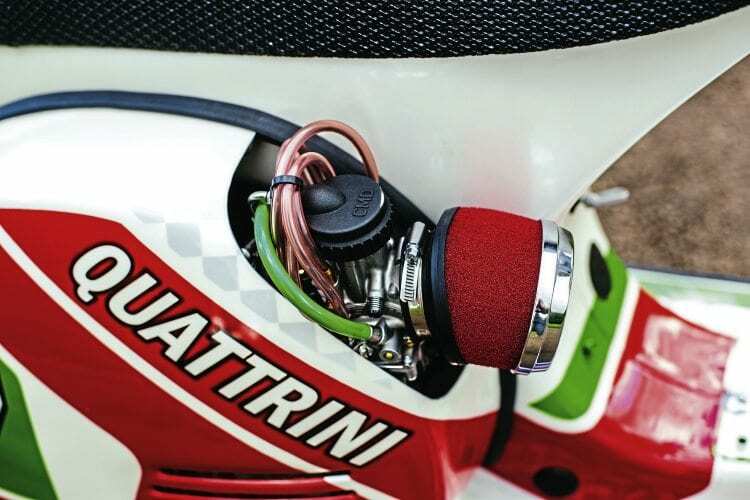 “It has a bespoke Chiselspeed water jacket head. If it had been down to me I’d have mounted the radiator on the front, it was a pain trying to not scratch the paint when connecting up the cooling system. The original modified P200 crank with a long stroke Yamaha con rod turned out to not be man enough. A modified T5 crank with stronger webs and a long stroke rod should be capable of dealing with the power.